If you’re like most fitness professionals, you got into this field because you’re passionate about fitness and helping people live better lives. But if you’re thinking about owning and running your own fitness business, passion alone—no matter how great—is NOT enough to guarantee success. Owning and running a successful fitness business requires more than passion, and it requires more than just being the world’s best trainer. Whether you call it a gym, club or training center, at the end of the day, you’re running a fitness business. And if you want to be a financially successful business owner, you have to be willing to run it like one…every single day. This is often what keeps people struggling in their fitness businesses. It’s not a lack of skill in training people or lack of passion for fitness, but a lack of mastery of the different business skills and systems required to run a gym. Skills such as raising capital, managing a staff, mastering marketing and sales, financial management and developing programming, which all have to be in place for the business to survive and prosper in a competitive market. Mastering the business side of fitness is crucial, because the fitness business is one of the most challenging and intensive small businesses you can own. The typical risks and stress involved in running a small business means managing a staff, building a regular clientele, refining business systems, ensuring profitability, keeping an eye on the competition and handling changes in the market. At the same time, you have to constantly refocus and refine the vision of the business compounded by the intense customer and service-oriented nature of the fitness industry. These issues can take a serious toll on your physical, mental and emotional health, with long hours, stress and anxiety impacting both you and your family. Opening a fitness business also involves a significant degree of financial risk, often with large sums of money invested by you and your investors. This money can be lost if the business fails. And if the risks and challenges associated with running a business weren’t enough by themselves, changes in the modern fitness industry have also added a new layer of complexity to the process. 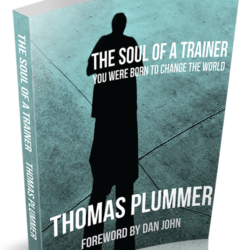 Thomas Plummer is the founder of the National Fitness Business Alliance (NFBA), and is a renowned fitness business expert, having put over 100,000 people through his business seminars. He’s also sold over 100,000 books on running and managing a fitness business. Over the past 30 years, he’s helped all types of fitness business owners turn around their fortunes—from individual owners of small gyms, to some of the biggest chains in the world doing over $300 million a year in revenue. Thom has been a trainer, salesperson, manager and owner of multiple fitness businesses. He understands all aspects of the business, and is keenly aware of how things have changed over the years. Running and owning a fitness business is hard, but if there’s one person who can get you off to the best possible start, and give you the business advice you need to succeed in today’s fitness industry, it’s Thomas Plummer. In The Business of Training, the fitness industry’s top business adviser will teach you how the training business REALLY works, how the industry is changing, and how to build a thriving and financially successful fitness business in this changing environment. The Business of Training is NOT aimed at personal trainers. This DVD is designed to equip people who own or are thinking of owning a fitness business with the knowledge and skills they need to be successful. If you’re starting, or thinking of starting a fitness business, Thom will show you the everyday realities of the gym business, and will tell you what you need to consider and sort out BEFORE you open up the business. You’ll have more confidence when starting and running your fitness business, and save thousands in avoided mistakes. If you already have a fitness business, but it isn’t producing the profit you need, The Business of Training will show you where you’re going wrong. He’ll give you the business models and systems you can start applying right now to start making money from a struggling gym. Let Thom show you how to make more money, free up more time to spend with your family, take more vacations to relax and recharge, reach more people with your business, and build a thriving business that supports the lives of the trainers you employ. The business model Thom recommends that is used by Alwyn Cosgrove at Results Fitness, Rick Mayo in Atlanta, and hundreds of Thomas’ clients. If you’re thinking of starting a fitness business, or would like to turn your existing fitness business around, there’s nobody better qualified to help you than Thomas Plummer. Get The Business of Training today, and equip yourself with the knowledge you need to start and manage a successful fitness business that gives you the lifestyle and income you want. The physical DVD is 2 discs—a 108-minute lecture, plus 48 minutes of interviews.